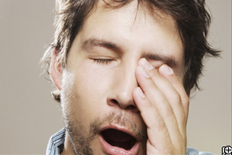 Did just reading the word make you feel like yawning yourself? Known as contagious yawning, the reasons behind this phenomenon have been attributed to both the physiological and psychological. It’s been observed in children as young as four and even in dogs! This TED-Ed video by Claudia Aguirre visits the many intriguing theories that might explain contagious yawning.